HP Inc. has introduced the world’s first mini workstation 1 in India designed for users in Computer Aided Design (CAD) and other compute-intensive industries. The stylish, new HP Z2 Mini Workstation delivers breakthrough power and versatility and at only 2.3” high, is 90% smaller than a traditional business-class tower 2. HP Z Workstation products have become the industry standard for customers demanding a full performance workstation. Building off the success of the HP Z240 SFF, the HP Z2 Mini Workstation is twice as powerful as any commercial mini PC on the market today 3 and has the ability to support six displays right out of the box. The HP Z2 Mini was designed for the millions of CAD users demanding smaller hardware without compromising acoustics and performance and mission-critical reliability. “Today designers want sleek, innovative and powerful workstations that enable new experiences. Designed for the workspace of the future, HP Z2 Mini Workstation is remarkably versatile and it showcases next level power by offering twice the power of a business-class mini PC, a key for designers. It is the result of HP engineers and designers reinventing the concept of a workstation by rethinking its shape, size and look while adding functionality to enable new use case.” said Ketan Patel, Senior Director – Personal Systems Business, HP Inc. India. Shorter than a cup of espresso, the new HP Z2 Mini Workstation is capable of designing anything from state-of-the-art electronics to home and office buildings. The workstation, running Windows 10 Pro or Linux, comes equipped with next generation Intel Xeon processors 5 , NVIDIA professional graphics and the availability of HP Z Turbo Drive for handling large files remarkably fast. The ultra-compact and aesthetically pleasing workstation provides users with numerous versatility options: on/under the desk, behind an HP Z display, or on a wall 6 . HP engineers created custom designed fans and a cooling system for whisper-quiet acoustics (63 percent quieter than an HP business-class mini PC) for workstation customers that need mission-critical reliability. The HP Z2 Mini design and engineering ingenuity will transform the way people think about workstations and workspaces. HP Z2 Mini Workstation will be available in India January 25 th onwards at a starting price of INR 72,000/-. Based on publicly available information of workstation competitors as of October 3, 2016 with volume of at least 1 million units annually as of October 3, 2016 having < 3 litres volume, professional graphics, Intel Xeon quad core processor, ISV certified applications, ECC memory. Based on business-class towers with >1 million units annually as of October 3, 2016 with performance measured by processor clock speed and ViewPerf12 rating, having 4th or 6th Gen Intel processors or AMD Pro processors, integrated VESA mount, VGA, 6 USB Ports, Windows Pro OS and TPM. Based on Ultra Small Desktop category of vendors shipping >1M units annually as of October 3, 2016 based on watts, with 4th or 6th Gen Intel processors or AMD Pro processors, integrated VESA mount, VGA, 6 USB Ports, Windows Pro OS and TPM. 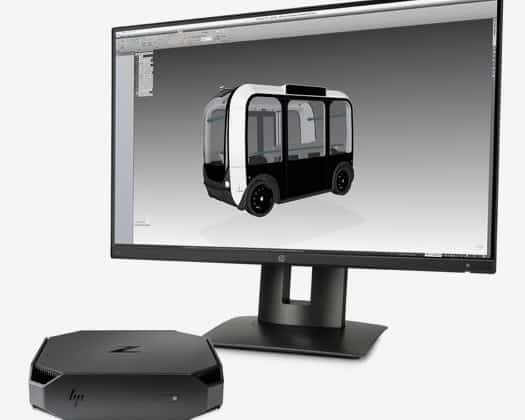 HP provided Studio Libeskind with early HP Z2 Mini workstations. HP unveils Industry’s first-ever Mini Workstation 0 out of 5 based on 0 ratings. 0 user reviews.